Project: Company Brand and Business Stationery Design. Format: Business Cards, Letterhead, Compliment Slips and Gift Voucher. 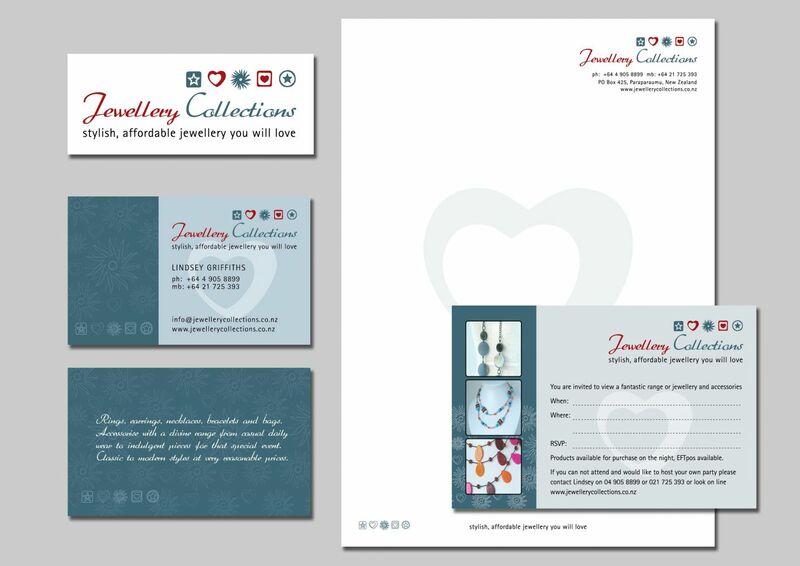 Brief: To create a professional brand and business stationery for Jewellery Collections. Solution: The new upmarket brand is designed with a serif style modern font and a collection of star and heart icons. The icons are designed to be similar to the shapes found in the jewellery. The brand is versatile enough to be used in a wide variety of printed formats. Format: DLE printed both sides. 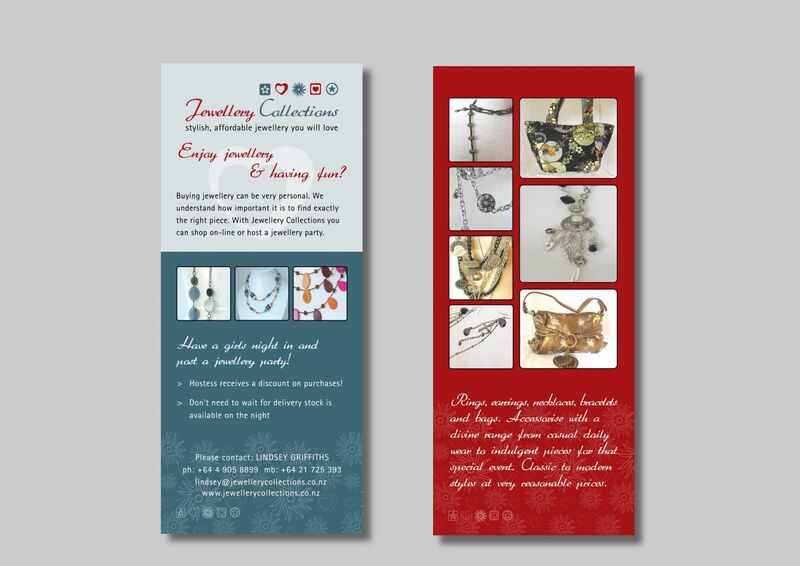 Brief: To design a brochure advertising Jewellery Collections products website and parties. Solution: A simple brochure that follows the same design style as the brand. 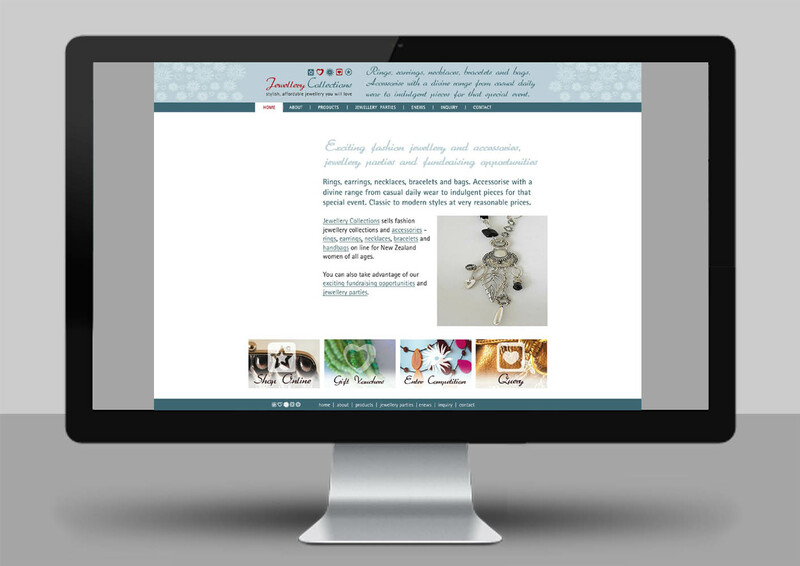 Brief: To design a website advertising Jewellery Collections products and parties.